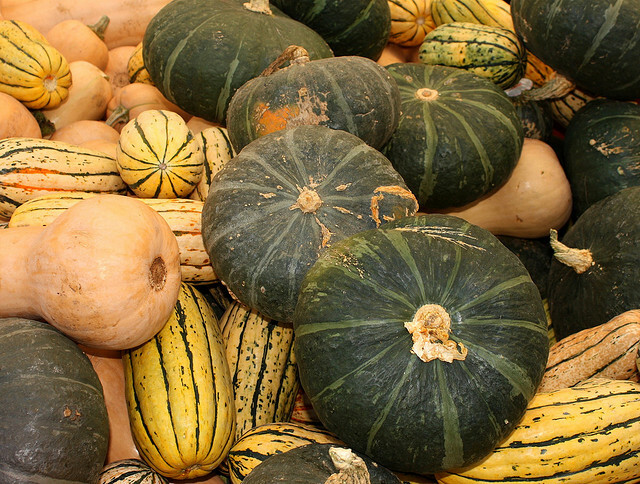 That's a lot of squash: Ever wonder whether those delivery startups have a wider impact? Indeed: Instacart alone has driven (pun intended) $4 million in additional sales to Whole Foods. Gorgeous gourds: If you put on ticketed or exclusive-access live events of any kind, and wonder how they're going to change, read Why live streaming is the future of New York Fashion Week. Squash side dish: This add-on gadget promises to stabilize video from nearly any camera. Baby squash: A federal court ruled that copyright holders must consider fair use before they order you to take down that YouTube video. It's called the 'Dancing Baby' ruling, for the 29-second video of a toddler dancing to Prince's "Let's Go Crazy." Score one for users, zero for the recording industry, which sued the toddler's mom. A shallow dish for the squash: Apple's 3D Touch is attempting to solve the so-called "shallow" way we interact with mobile devices, one tap or swipe at a time. Squash blossom: The Washington Post is revamping its online video strategy, and you can get a peek at its plans here. Harvest moon: Time on mobile apps now exceeds time spent on TV. Cornucopia: British friends, this is for you: A great article on what a headphone portable amp can do for your listening pleasure. Sadly, this device is basically unavailable here. The squash is in the open bin: Google and Twitter are reportedly working on a way for publishers to share something like Facebook's "Instant Articles"--but will make it open source. Pass the squash: This week, my Moderating Panels blog looked at a creative line of questioning that channels Sheryl Crow's "My Favorite Mistake," and this blog continued the Tell It Better storytelling series with a post on borrowing a story, with video and other examples. Pumpkin spice anything: Buy my new ebook, The Eloquent Woman's Guide to Moderating Panels; sign up for my free monthly newsletter; register yourself or your principal for one of my small-group workshops on Creating a TED-quality talk in January 2016; or let me know how we can work together in 2015 with an email to eloquentwoman at gmail.com.